It's that time of year again! 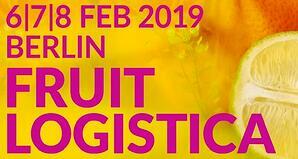 This week, ChainPoint will attend Fruit Logistica in Berlin. As always we hope to learn more about the latest innovations, products and services in the fresh produce sector. At this year's event, the will be an extra emphasis of the expectations of the customer of today. In a recent report, Fruit Logistica confirmed a continuing growing trend of customers who expect fresh produce in every store, all the time. ChainPoint believes that technology can help the fresh produce sectors with challenges like this. The work we do with Fresh.Point and Bionext are excellent examples of this. If you are planning a visit to Fruit Logistica and would like to meet us, please contact us now! We would love to meet you there.